“Charles! Has your grandmama seen that shirt,” The saying on the shirt was vulgar and far from appropriate for the professional and academic environment we tried to maintain at the community college. “C'mon Ms. Lawrimore, don't do all that.” Charles spoke to me while ducking his head, not meeting my eyes. He wore his flat bill cap askew and multiple gold chains around his neck, and was surrounded by his peers who were also sporting the gangsta look. “Oh c'mon Ms. Lawrimore, you don't want to make me do that do you?” He spoke softly, cupping his hand by his face, forming a slight barrier between him and his friends. I pointed to the bathroom; he shrugged to the others then slunk off to do as I asked. About that time, Charles swaggered over, extended his arms, and turned in a circle to model his inside-out shirt. “Better?” He flashed his pearly whites and struck a pose. He grinned and walked back to his buddies. My boss had seen the whole thing. “How did you do that,” he asked, jaw slack, eyes wide. Really, it's just that simple. When we are in relationship with people, we can say things that we wouldn't, and shouldn't, say to those we don’t know. And I think that—for the most part—is what happened with Paula Deen this week. Several of the comments she has made were made to people she knows really well—people who knew her character, her spirit, her heart. She said things that might sound threatening or offensive to anyone other than those she addressed. But I doubt her words carried the weight that we strangers have attributed to them. 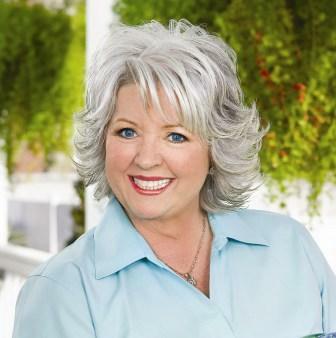 Before this, I've never had much of an opinion about Paula Deen. I still don’t. Well, there is one thing. It’s this: I think some words should never be spoken by anyone. The f-word is one. The n-word is another. Let's agree to cut those from the American lexicon right now, okay? Good. But you know what? Chef Deen apologized. She seems truly remorseful for the hurt she herself admits she caused. I get it; do you? I have said things that I later regretted. I've had to apologize; I've had to change; I've had to grow. And it's so awesome when people believe me when I say I really am sorry. Their acceptance allows me to become a better me. So I'm not going to bash Paula Deen on Facebook or boycott her restaurants. Instead, I'm going to offer a little grace, assume there might be something I don't know, and move on. Because really, I have my own lessons to learn. I think I'll spend my energy on those. Perfect! If the world would follow these words, what a better place it would be! BS! She apologized for GETTING EXPOSED! She hasn't even ADMITTED to using the word (aside from disposition, that's she's since perjured! ), so how can she apologize and be remoresful?? The ONLY thing she's sorry, "distressed" about is the plunging of her brand. If she said it once, she's used it much more than that. I guarantee it. I see where you tried to take this, but that is ONE word that has been COMPLETELY off limits between blacks/whites since the ending of the Civil War...regardless of the relationship! I agree: That one word has absolutely been completely off limits between blacks and whites, possibly not since the Civil War when ignorance still trumped common decency, but for long enough for every American to know better than to use it. It is a vile and vulgar word that should go the way of the dodo bird. It seems to me she is regretful, but I certainly could be wrong. Racism is a cancer that kills culture and obliterates hope. Likewise egocentrism, blinds otherwise brilliant people. I hope Chef Deen is not guilty of these nasty qualities. For now, I choose to offer grace.